Olive oil is a special product for many reasons - health, flavor and versatility to name just a few! To ensure consumers are getting authentic products, testing is a must for any company involved in the sale and distribution of olive oil. At the North American Olive Oil Association, we've been collecting samples off store shelves and from distributors for more than 25 years and testing them against a full battery of scientific laboratory tests as outlined in the global trade standards maintained by the International Olive Council. The good news is thousands of tests over the years confirm the majority of olive oils in North America are authentic quality olive oils. But it's unfortunate for consumers that exaggerated claims about olive oil fraud have gotten a lot of attention recently. In 2014, some California olive oil producers said their products couldn't meet the global standards because of unique growing conditions there. They created a Commission to develop new standards aimed at delivering higher quality and have been promoting the new standards as more stringent than existing standards. The new standards deviate significantly from international, national and even existing California state standards - but not always for the better. Besides adding new tests deemed unreliable by the global industry, the OOCC standards eliminate certain laboratory analyses necessary to detect adulteration. 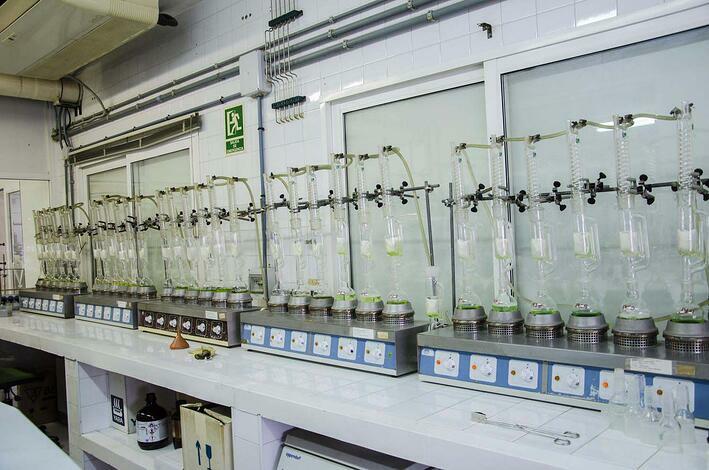 This testing does not ensure the authenticity and quality of olive oil consumers deserve. The NAOOA has supported the adoption and enforcement of olive oil standards since its inception - including petitions to the FDA, state standards created in Connecticut, New York, and Oregon, and collaborated with the California olive oil industry on standards in the state of California in 2009 and through the USDA in 2010. The NAOOA did not support the new OOCC standards because there was insufficient science to back up the changes made compared to existing international standards. Following the implementation of the standards last September, the NAOOA commissioned a report by Dr. Islam A. Siddiqui on the analysis and implications of the OOCC's standards. Dr. Siddiqui is the former U.S. Chief Agricultural Negotiator in the Office of the U.S. Trade Representative (USTR) and currently serves as Senior Advisor for Global Food Security at the Center for Strategic & International Studies (CSIS) in Washington, DC. The report demonstrates the olive oil standards created by the OOCC have narrow reach and fail to address adulteration of olive oil, despite producer claims that such adulteration is a major problem. The NAOOA also summarized the results of random testing of store-bought extra virgin olive oils produced in California and found that the test results don't uphold the claims in the new standards - instead, 67% of the oils tested failed at least one measure of the new California standards, most often one of the new tests. Ultimately these reports show that the new OOCC standards include unreliable tests and aren't a good model for the industry. The NAOOA will keep working for enforcement of scientifically based standards such as those used for global trade and hopes to work with all industry and consumer segments to promote fair and accurate standards and testing in the marketplace. Importers, brand-owners, distributors or retailers that need assistance with complete quality and authenticity testing can contact the NAOOA at oliveoiltesting@naooa.org or visit our Certified Olive Oil Seal for more information.